Rusty Pritchard is back with another Grand Lake fishing report. It sounds like the fishing is just like it usually is in the fall…great some days and more challenging others. We’ve had some great trips last week and we’ve had some tougher trips also. All these fronts rolling in have made for some great trips and some slower ones. Cats have been biting really well for the jug fishermen the last week or so. I’ve seen a lot of fish being brought in and some good ones! Personally I don’t jug fish but have friends that do. Remember that they passed a law a couple years ago that you are only allowed one cat over 30″ now. On rod and reel we have been drifting out in 20′-40′ of water. I try to hold my speed down to under .7 mph. I use a huge drift sock to maintain my speed to stay under that mark. Saturday I took a group out that wanted to go carp fishing so we hit some shallow points and I threw catfish rods out also at these places. We did really well on anchor fishing 15′ of water on cut bait. Some of them were really nice fish! 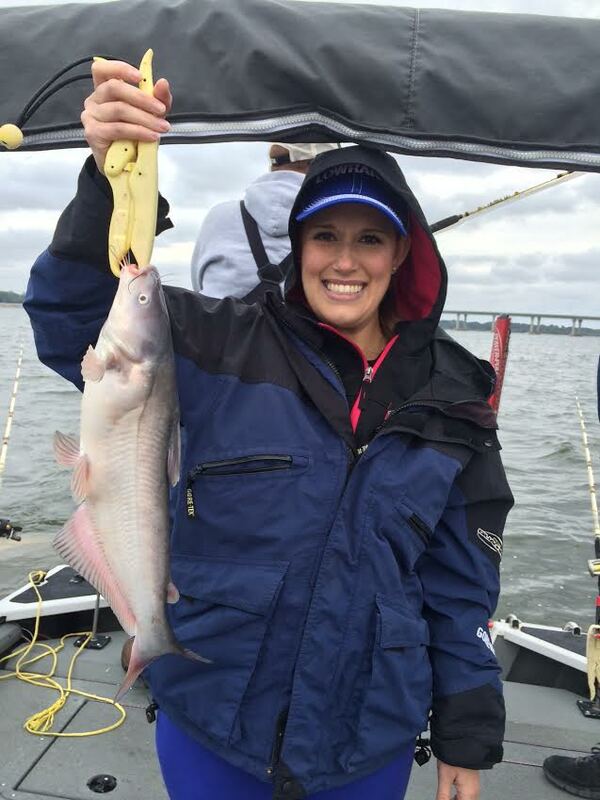 White bass continue to be good trolling 2″ Go Go Minnows around the windy points. It seems cloudy days they will bite all day! We’ve caught some huge white bass around the Honey Creek area the last few days, and we had some good luck in the Elk River arm today! 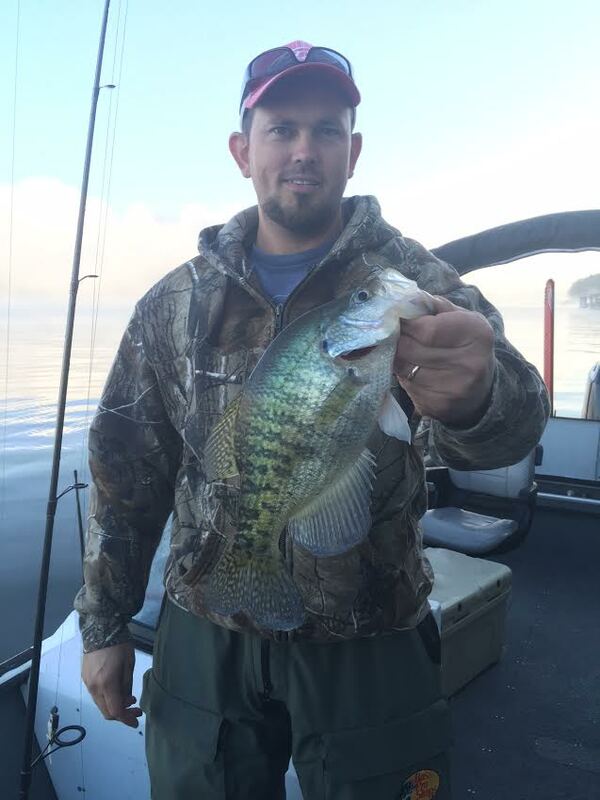 Crappie are still good in the mornings in brush and docks in 10′ of water. We’ve really caught some good ones this last week – I love crappie fishing and I’m really glad Grand Lake crappie are making a come back! I’ve been throwing Go Go minnows and Bobby Garland jigs . Starting to see the spoonbill really stacking up everywhere in the main river channel! Won’t be long and we will be getting after them! If your looking for a guided trip give me a call at 918-964-0174 and checkout my website at www.rustypritchardoutdoors.com and also look me up on Facebook under Rusty Pritchard and send me a friend request! We post all of our guide trips on there and you can see the action day by day! I only have a couple days open this week if your wanting in this week and a few days next week.